The Supreme Court opened its term on Monday, the first in October, and it faces quite a roster of high-profile cases. One case involves the constitutionality of political gerrymandering, and whether the court should and/or can develop a resolution to alleged gerrymandering for political purposes (Gill v. Whitford). Another case, Carpenter v. United States, is perhaps the most important case the Supreme Court has heard when it comes to government surveillance and modern technology. It will review the legality of law enforcement agencies searching a person’s cellphone records to attain information about their location and movements. Christie v. NCAA is the result of New Jersey governor Chris Christie’s decision to loosen the state’s prohibition on sports gambling. Atlantic City loved it, and professional sports leagues, who have long known that gambling is going on despite its national illegality outside Vegas, would certainly welcome its widespread legalization. Further, it is a 10th Amendment issue, and the Court seems likely to rule that a 1992 federal prohibition on sports gambling violated states’ rights to decide upon issues not explicitly stated in the Constitution. The case is, essentially, a conflict of different rights. The right, according to Colorado law, not to be discriminated against on the basis of sexual orientation versus the 1st Amendment right to religious freedom. According to how you interpret the nature of cake, it is also an issue regarding freedom of expression. The origins of the case date to 2012 when Jack Phillips, who owns the Masterpiece Cakeshop in Lakewood, CO declined to make a wedding cake for David Mullins and Charlie Craig, a gay couple planning on getting married. Mullins and Craig have been victorious in their claim that Phillips’ refusal qualified as a violation of Colorado’s Public Accommodations law, but the Supreme Court will ultimately decide which side’s claims are more valid. Phillips’ case hinges, for one, on his right to religious freedom. 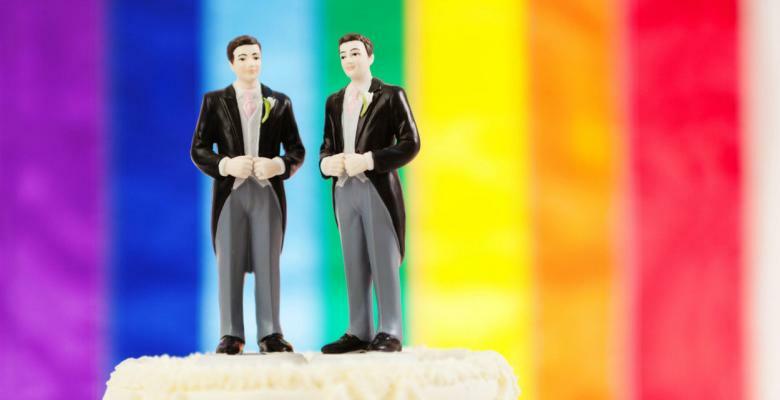 Making a cake for a gay couple would, according to Phillips, go against his religious beliefs. In 2017, this will have many rolling their eyes. But that is not Phillips’ only reasoning for why he should not be compelled to make a custom cake for anybody, gay or straight. In Phillips’ eyes, he is an artist. And, as an artist, the cakes he creates fall under his other 1st Amendment right to free expression. It seems a fair argument that a customized cake is indeed a form of art and thus, a form of expression. Freedom of expression, it would seem, means being free from compelled expression. The Supreme Court will decide whether or not this is a valid argument that overrides Colorado’s Public Accommodations Law, setting a precedent that would apply to bakers, wedding photographers, and other professionals whose work could be considered art. "I think it'll be a question of does Justice Kennedy continue his legacy as one of the true champions of equality in our nation's history?" "The court shouldn't make a religious liberty analysis here because that's not what the issue is that's being argued to them particularly," Severino said. A decision either way will be politicized heavily, something that most believe the Supreme Court would like to avoid, to varying degrees Justice-by-Justice. The votes of Neil Gorsuch – a former law clerk of Anthony Kennedy – and John Roberts, who has dissented against traditional right-wing thought in the past, will be especially important. This is a particularly interesting and important case, because several issues are at play. The balance between religious freedom versus service for all, religious beliefs be damned is one. Whether cake is art, and therefore falls under the freedom of expression protections afforded by the 1st Amendment is another. It’s not only how the Court rules that is in question, but the lens through which they choose to view the case that will set a precedent. Either way they rule, there will be outrage. Whether it is the country’s gay population and the rest of the left, or the right and those who believe they should not be compelled to create art for those whose beliefs they object to that will be left fuming, remains to be seen.